Riga, Latvia — July 7, 2018 — we are excited to announce that dots. has won the 2018 Microsoft Country Partner of the Year Award for Latvia. The company was honoured among a global field of top Microsoft partners for demonstrating excellence in innovation and implementation of customer solutions based on Microsoft technology. Awards were presented in several categories, with winners chosen from a set of more than 2,600 entrants from 115 countries worldwide. dots. was recognized for providing outstanding solutions and services, as well as representing excellent subsidiary engagement in Latvia. The Microsoft Country Partner of the Year Awards honour partners at the country level that has demonstrated business excellence in delivering Microsoft solutions to multiple customers over the past year. This award recognizes dots. as succeeding in effective engagement with its local Microsoft office while showcasing innovation and business impact, driving customer satisfaction, and winning new customers. 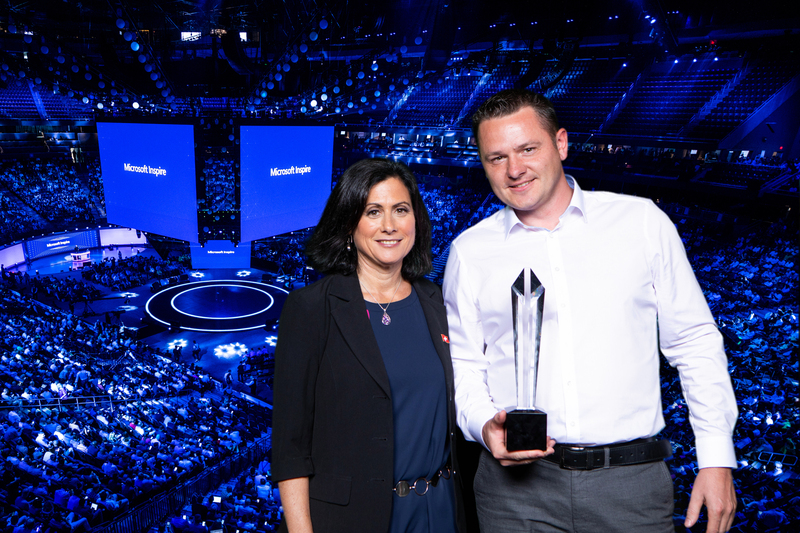 The Microsoft Partner of the Year Awards recognizes Microsoft partners that have developed and delivered exceptional Microsoft-based solutions over the past year.